The Leaders in International Development Project aims to provide mutually beneficial leadership development opportunities for school leaders from England and for senior education practitioners in one of Voluntary Service Oversea's (VSO) education programmes. The project is led by VSO with the support of the National Association of Headteachers, the Association of School and College Leaders and The National College. I'm also personally very grateful to the Governing Body of Walton High (http://www.waltonhigh.org.uk/) for allowing me to take part in this initiative and to my colleagues on the Senior Team for all their support. In the spring term of 2010, the twelve headtachers taking part in this year's project will be going in groups of three to Ghana, Namibia, Nigeria and Rwanda to work alongside colleagues from these countries and other volunteers on various education projects. I will be going to the Upper East Region of Ghana, close to the border with Burkina Faso. Although I will be living in the capital of this region, Bolgatanga (known locally as Bolga), it is expected that I will be working with schools in nearby Tongo in the Talensi-Nabdam district. The Ghana Education Service is committed to working with VSO to make education more inclusive, particularly for girls and children with disabilities. This is achieved by equipping teachers with the skills required to identify and meet the needs of individual children, including those with special needs. VSO Volunteers work with Circuit Supervisors (CS) and District Teacher Support Teams (DTST) to provide support to over 600 primary school teachers in thirteen Districts in the Northern, Upper East and Upper West Regions. This includes sharing of skills on Phonics as a way of teaching literacy; lesson observations; building the capacity of teachers to identify and support children with learning difficulties and mild disabilities; School/Cluster based training and follow-up support for workshops run by partner Non Government Organisations (NGOs). The VSO Management Support Officer role is designed to support the Senior Management Team, Circuit Supervisors and Headteachers. However, because of the multiple target groups being dealt with the headteachers often get very little support. VSO feel that by placing a volunteer specifically focusing on headteachers, support for them will improve. This is done in conjunction with Management Support Officers who can carry on with any work initiated by Headteacher Support Officers once their placement ends. The aim of my placement is to improve the leadership and management capabilities of the headteachers I'll be working with. 1. Lead headteachers and staff in basic schools (Primary and Middle Schools in England) to do a quick organization self assessment as a basis for planning and targeted support. 2. 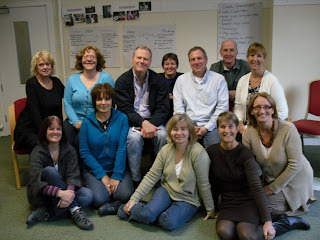 Provide training and coaching on leadership skills and management for headteachers. 3. Provide training and coaching on developing school improvement plans and budgets, staff support and management. 4. Coach on how headteachers can provide instructional support to their teachers through demonstration lessons to make their teaching more inclusive for all children. 5. Coach headteachers on how to work with Parent Teacher Associations and School Management Committees (similar to governing bodies in England). 7. Train a core team of headteachers/Circuit Supervisors who are willing and enthusiastic to provide leadership and coordination to keep the leaning and sharing ongoing.